Picture yourself behind the wheel of your 2005-2015 Tacoma truck and in an instant, you can head off road and not even think twice about it. Imagine how awesome that would be and the adrenaline rush you would receive. 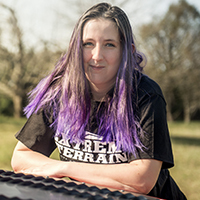 ExtremeTerrain is proud to be able to provide you with quality onboard air systems that allow you to equip your truck with the best of the best in accessories and helpful systems. We carry a large selection of onboard air systems that can be used at home in your garage or while you are on the move. These compressors are designed with you in mind and they come crafted from some of the best materials on the market to ensure a lifetime of use. Many of the on-board compressors offer a maximum of 150 PSI; however, you can choose the model that is right for you based on your needs. All of the onboard air systems offer a magnetic motor that is built to last and hold up under the most strenuous circumstances. The onboard air systems that we carry come with a tire inflation gun for ease of use and convenience. The system can be mounted almost anywhere on your truck too, which is nice for those on the go applications. Whether you need to add air to your tire or deflate the tire a bit to head off road, your new onboard air system can help with that. ExtremeTerrain carries onboard air systems and compressors designed for your Tacoma and you can pick one up for yourself and one for someone you love too. With prices so low, you will wonder why you did not shop our large selection earlier. Many of the compressors and onboard air systems do come with a manufacturer’s warranty to ensure your investment is protected and to give you the peace of mind you need at all times.